Hi loves! A quick post as I am a bit lazy and don't have a whole lot to ramble about - and I want to get back at staring at Chanel Taboo as soon as possible ;-)! 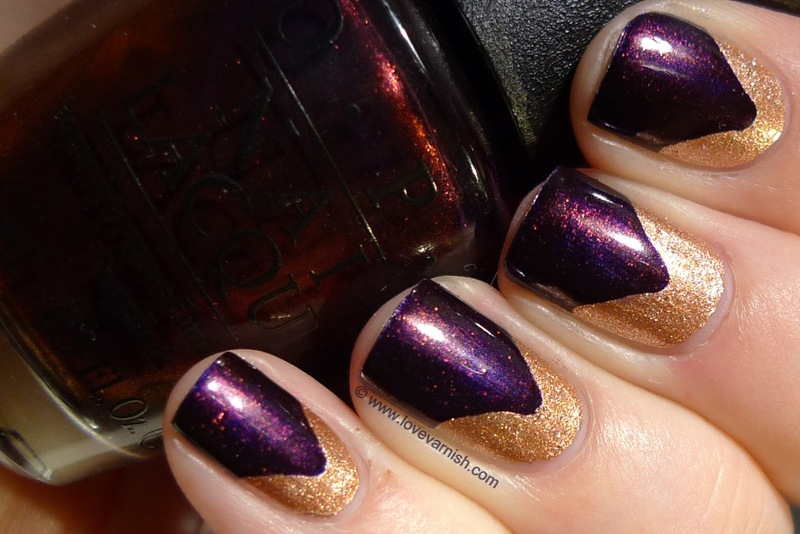 Today I am showing you a look I did with OPI Every Month Is Oktoberfest and Revlon Copper Penny. I ordered these french manicure stickers that holds 3 designs: the classic shape, a sharp V shape and a flowy V/curtain like shape. 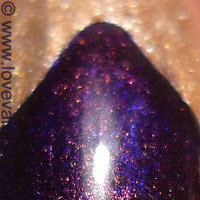 I wanted to create a halfmoon like nailart so I started with a base of Revlon Copper Penny (1 coat) and let it dry. It dries quickly so yay! Then, I grabbed the flowy V shaped stickers, and placed them more on the bottom half of my nail, with the pointy side upwards. Using OPI Every Month Is Oktoberfest I painted a thickish coat on the top half of my nails, removing each sticker after each nail. The result was a ladylike manicure, though it didn't photograph as pretty :-(. Hope you still like it. Do you ever use those french manicure stickers? And what do you like to create with them? super funny tape mani! 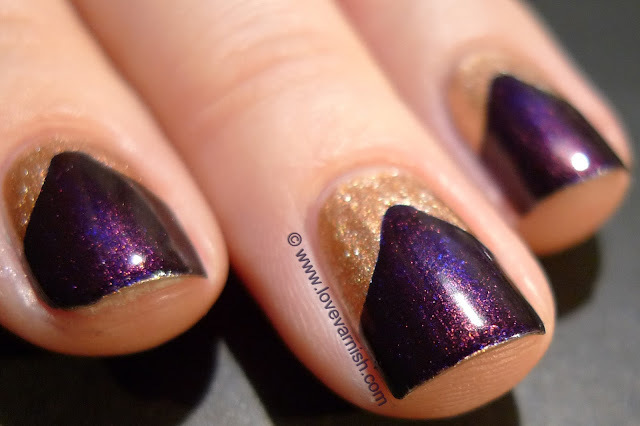 love these polishes together and the way you did it! It is fun to experiment, like putting the stickers higher or lower on the nail for variation. You could also use it sideways! I think a combination of EMIO and Russian Navy would come pretty close, EMIO lacks the blue specks and is a bit too reddish by itself. great combo! I want some of these stickers. where did you order them? I grabbed them on eBay actually! Search for "french manicure nail art form 3 style" and you should find them :).